The top picture is a t-shirt and the bottom picture are tea towels. See? The guy up top is right. Fun and cute. Here we go! Treated fabric is ironed onto freezer paper and can be printed onto using an ink jet printer. First things first, get your fabric ready. Fabric needs to be 100% cotton or 100% silk and cut to 8.5 x 11 inches, which is the size of a piece of standard printer paper. 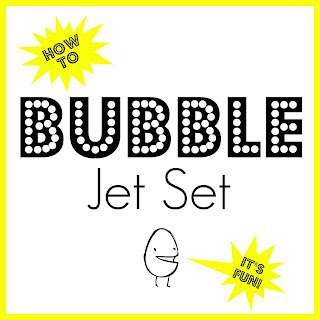 Bubble Jet Set 2000 can be bought online or even at some quilting and craft stores. It usually runs under $20.00 a bottle which is a lot cheaper than buying printable transfer paper. This bottle has lasted over 10 years and it's still 1/3 full. Wear gloves while working with this stuff! Pour it into a bowl or a flat pan and submerse the fabric, making sure it's totally covered in the solution. Soak for 5 minutes. After 5 minutes are up take it out and let it drip dry completely. The left over solution can be poured right back into the bottle. While your fabric is drying get your freezer paper ready. Freezer paper can be bought at the grocery store right next to the foil, saran wrap, and wax paper. 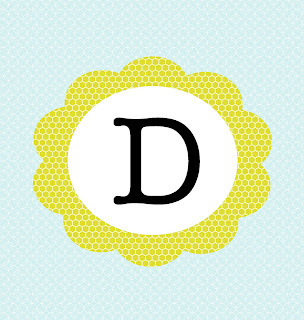 Just like your fabric, cut the paper to 8.5 x 11 inches. Take your time with this step! Since it's going to be fed through your printer it needs to be exact. When your fabric is dry you're going to iron it onto the SMOOTH side of the freezer paper. Make sure the iron is super hot and that there's no steam. Really make sure the edges are adhered. Clip any stray strands of fabric or anything that will not feed through printer smoothly. So now you just need something to print onto the paper. 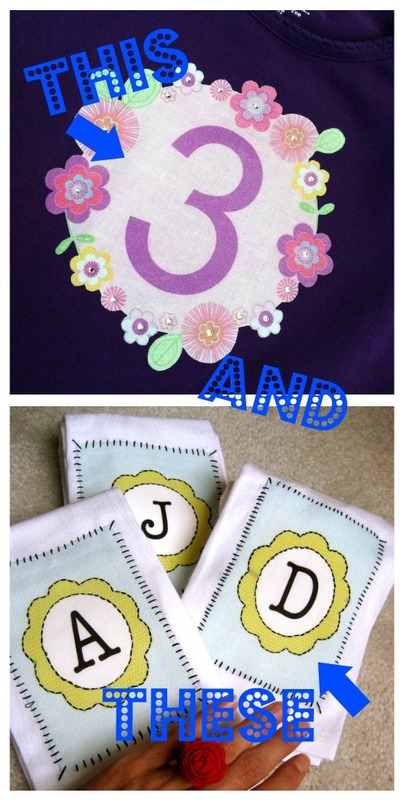 I designed the "3" for the t-shirt on Picnik and the "D" for the tea towels on Photoshop. Anything works here. Pictures, text, if you can print it out it will work. My only suggestion would be to set your printing settings on the highest quality possible. You want a lot of ink to saturate the fabric. Depending on what you're doing you may even want to up your contrast, make colors a bit darker, etc. Do a test print on paper and use that as a guide. If it's too light on paper it will be even lighter on the fabric. After it's printed let the fabric dry. The bottle says to wait 30 minutes. I usually wait a little longer - sometimes even over night. Just make sure the ink is totally dry. When it is, it's time to rinse. Bubble Jet Set sells a special rinse but I've never used it. Using a mild dish soap and washing by hand in cold water or even using a mild detergent on a cold, delicate cycle of the washing machine has always worked fine for me. The back of the bottle gives exact directions for each step of the process. Once it's dried it's there for good and is ready for whatever you'd like to do with it! For something extra, I added Swarovski crystals (they came with adhesive on the back) onto the middle of the flowers. Apologies for the pictures - they aren't the best. 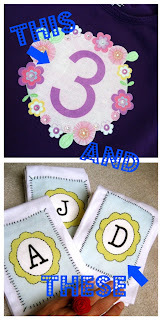 For the tea towels, I used decorative stitching to secure the fabric onto the towels. I packaged each one using Skip to my Lou's free BLOOM templates . A perfect teacher's gift! It may seem like a lot of work, but it's not! The possibilities of what you can create are endless! Give it a try! 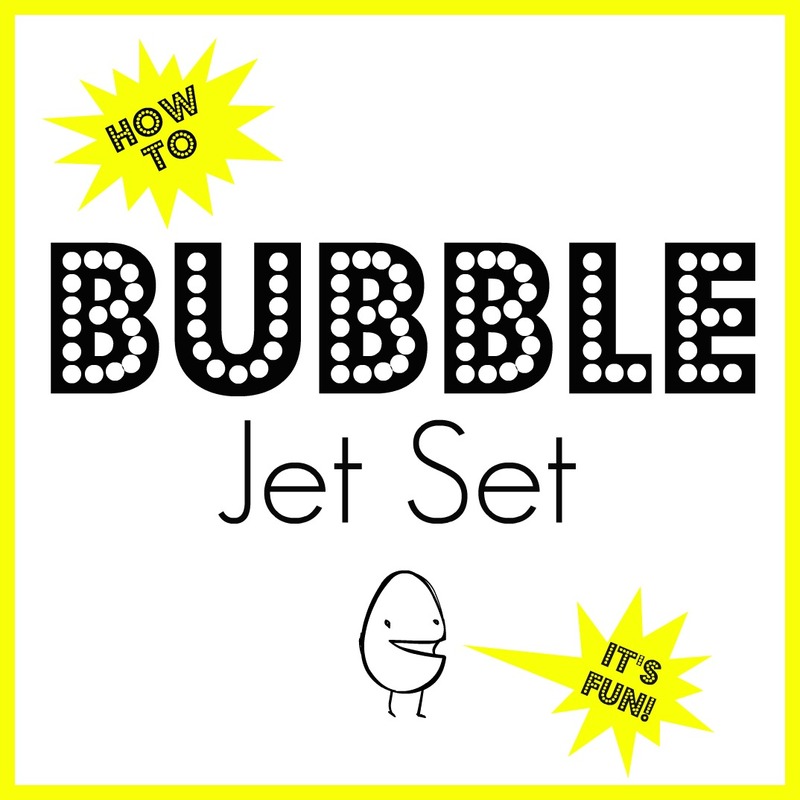 Oh, I hear you can make your own Bubble Jet Set solution. Just Google to find the recipe! I'm linking to these parties today, check them out! Sadly we can't get the freezer paper over here in the UK :( Or at least not easily and at a reasonable price. Check out the link - maybe it will help? If not there has to be a substitution out there somewhere! Try Googling for other answers! Thanks for stopping by and good luck finding a solution! Love those towel sets! Those would be great friend Xmas gifts. Am going to get working on them. Thanks! Great idea and Xmas is only 6 months away! Will be here before we know it, Yikes! i wish they sell freezer paper here in the UK, what a great tips and info, love your creations! I love the shirt and the tea towels. So creative and great looking. Love it! very cool. never tried this technique. Will certainly have to give it a try. TFS! so interesting... I have never heard of this before. I am always using freezer paper too. 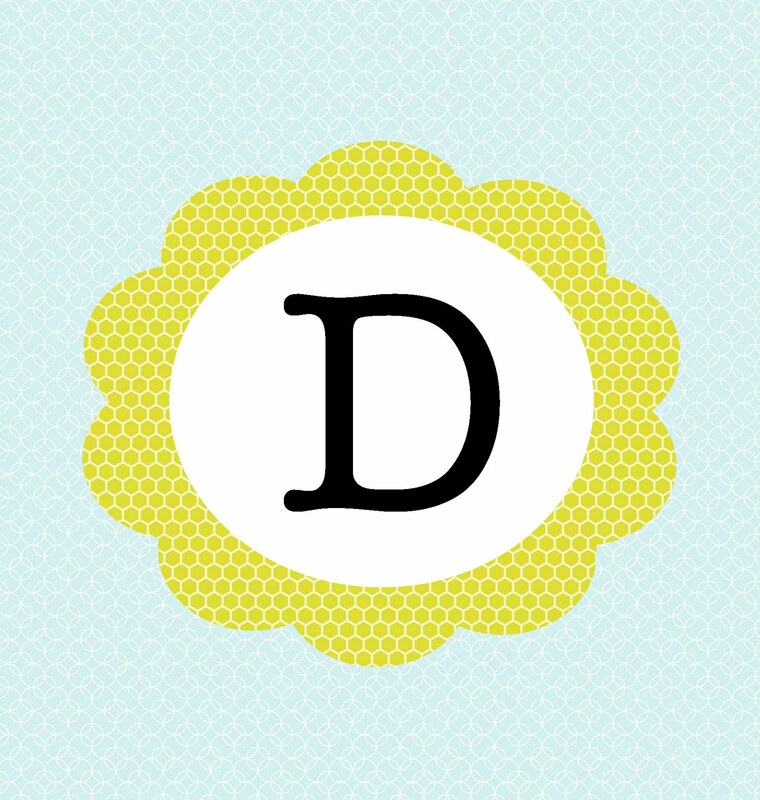 I am following your blog now and can't wait to see what else you do that is new to me! And I found you through Skip to My Lou! Interesting! I've never heard of this before. Thanks for showing us! Thanks for taking the time to comment everyone! I really appreciate it! what a fun idea! am always looking for new ways to make creative shirts for my bubba. 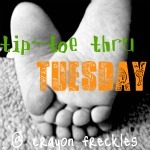 thanks too forl linking this up to my tip-toe thru tuesday party! hope to see you again this week!